When it comes to naming your new dog, the decision can often be as difficult as naming a new baby. But if you have a male German shepherd puppy, that challenge can be even harder. You see this dog breed is very noble, so you want to give your new pooch a name that reflects that character trait. So today we are going to talk about several really popular names, that dog owners are naming their pets. 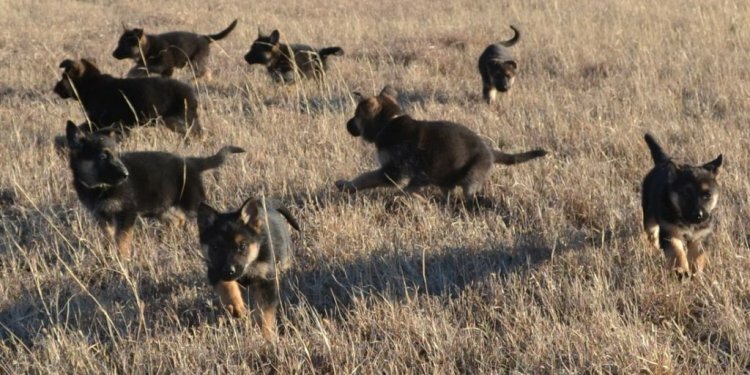 Some of the Most Popular Male German Shepherd Names just might surprise you. Max is hands down one of the most popular of all names, for a male German shepherd. This name means the greatest and it is very fitting for this dog breed. I personally love this name as do many others. But I can imagine that there are a lot of dogs with this name, so it does lack some originality. Charlie is another popular name for this dog breed and it means strong. I really can’t think of a better word to describe these dogs than strong. They are some of the strongest of all dog breeds and are very powerful animals. So I think Charlie is a wise choice, don’t you? Baily is another name that is often used for male dogs. It can also be used for female dogs, but it’s more commonly used in male animals. Baily means in charge. This is a really great name, because these dogs seem to always be in charge of the situation. Buddy is also one of the best names you could use for your pet. It means friend or brother and this is a great way to describe such a loving dog breed. You would be hard pressed to find a more loving and devoted dog, than the German shepherd. Thor is an older name that many people name their male dogs. Most of us are familiar with its meaning, but for those who are not, it means God of Thunder. This is a very strong name, which has a nice ring to it. I personally like this name as well.